It measured 3 meters by 5 meters. In reality, it was a room at the end of a corridor. While we had somehow coped with all of the challenges that happen over a school term, we were slowly outgrowing this office. There was no avoiding this fact. 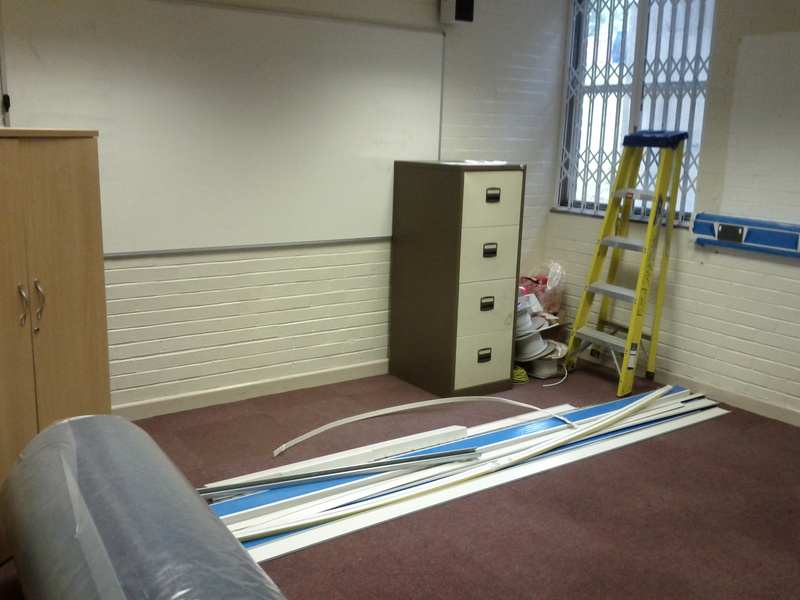 So, after scouring the school for a room that was going to be suitable for us to work in, we eventually settled on a classroom that was only used for 10 hours per week, but was large enough to move around in. 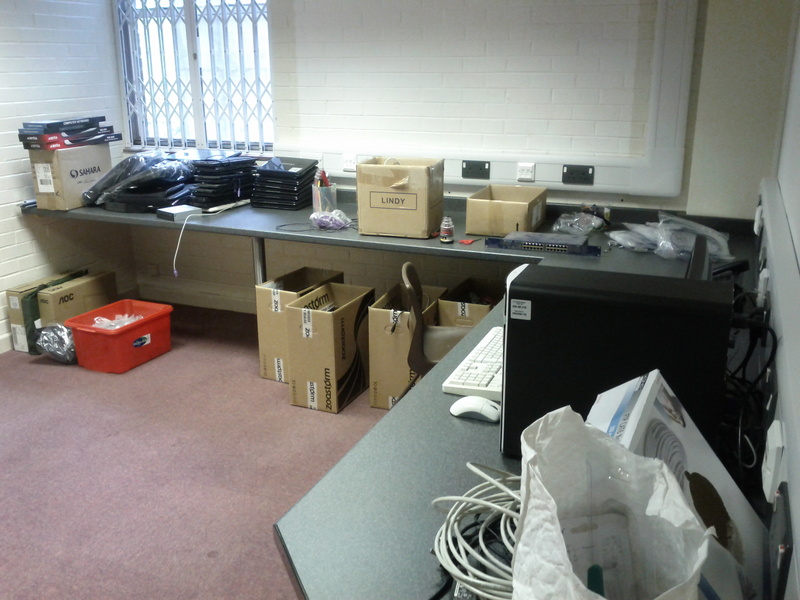 After getting agreement from the headteacher and chair of the board of trustees, we started arranging for power, networking and desks to be put into place. The work was then started during the school holidays. 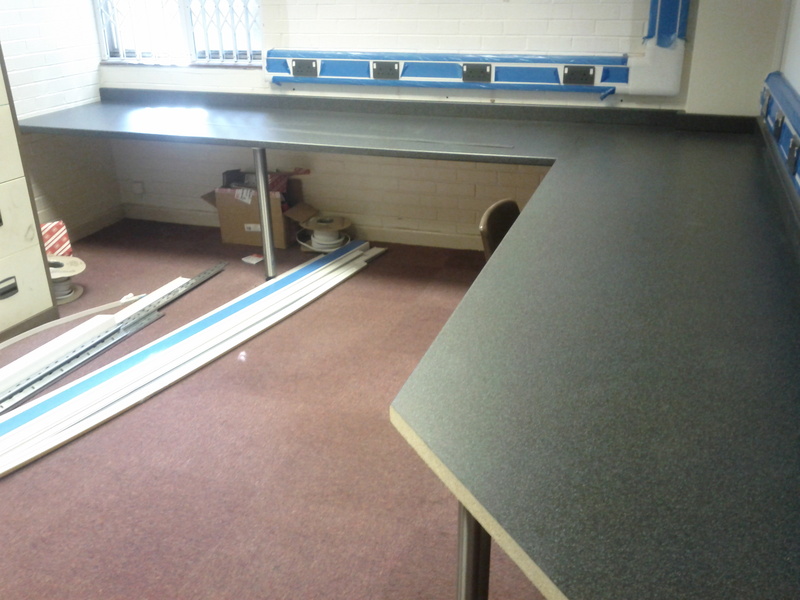 However, while the electricians were able to put their cabling and trunking in almost straight away, the builders were already scheduled for other jobs around the school, so we had to wait for a few weeks before the desks were finally put in. 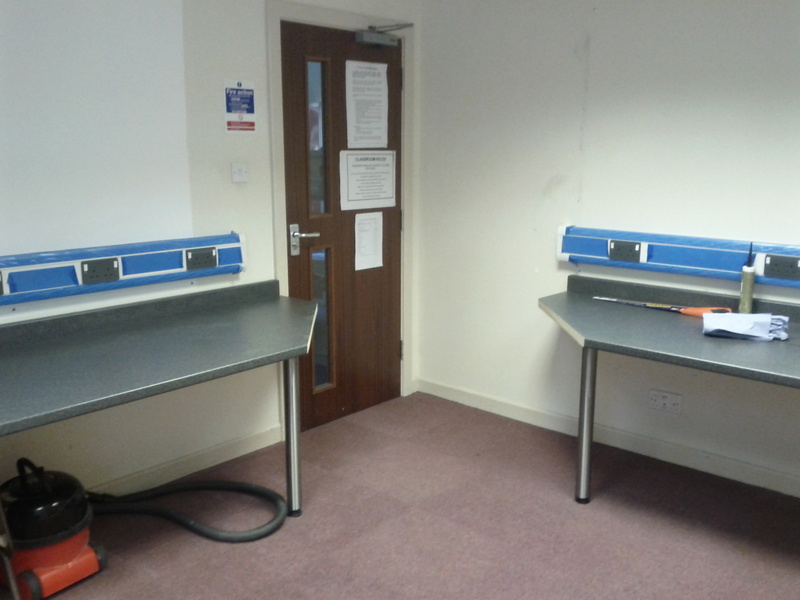 The desks run around 3 sides of the room, with the last one empty for easy access to the whiteboard. 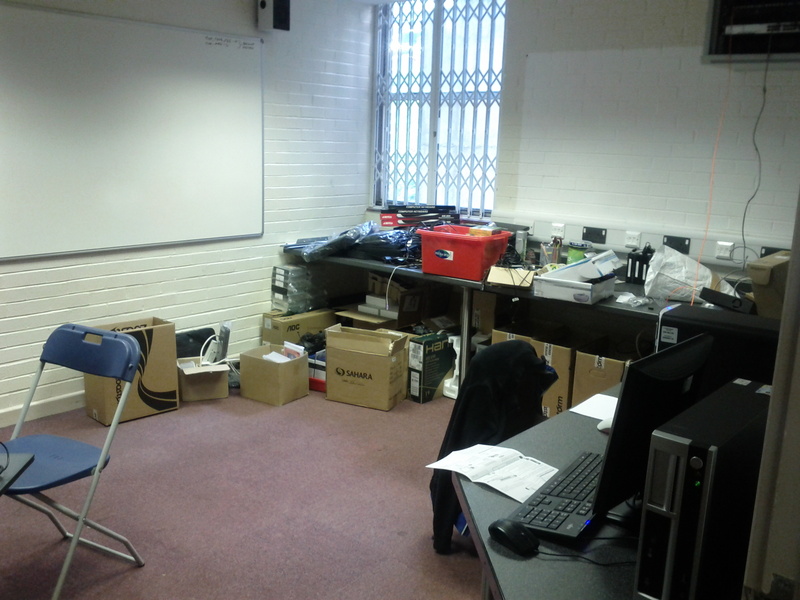 Our new office – Now with desks! 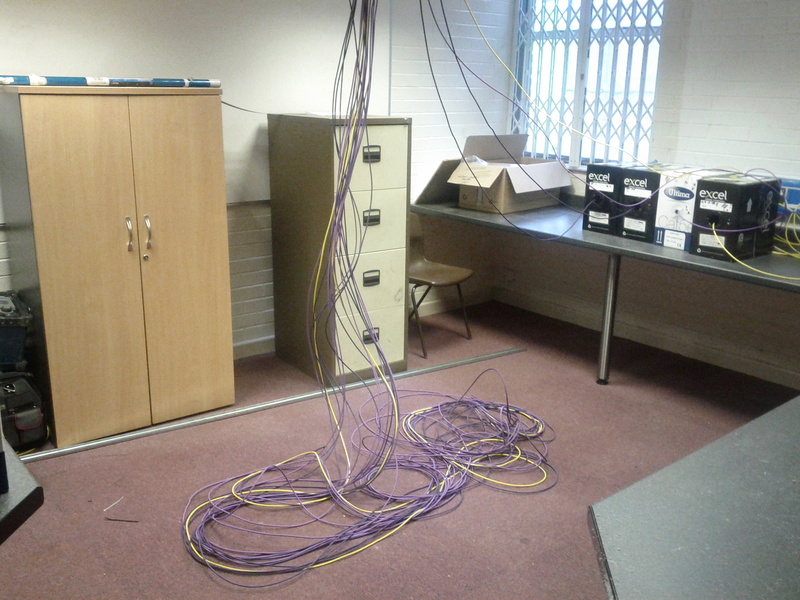 Eventually the networking people turned up so that the room would actually be usable by us. 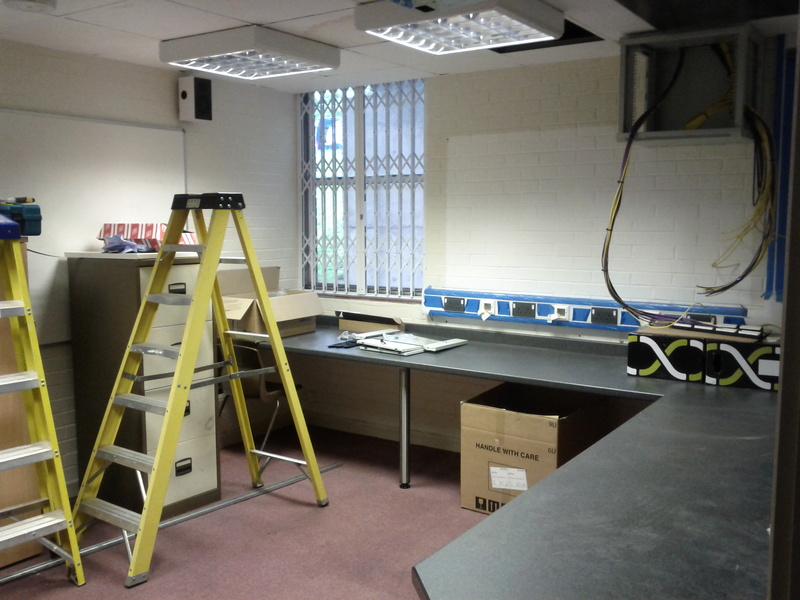 Unfortunately, due to the builders late start, this was carried out on the last week of the holidays, so we were getting close to almost not having an office at the start of the term. 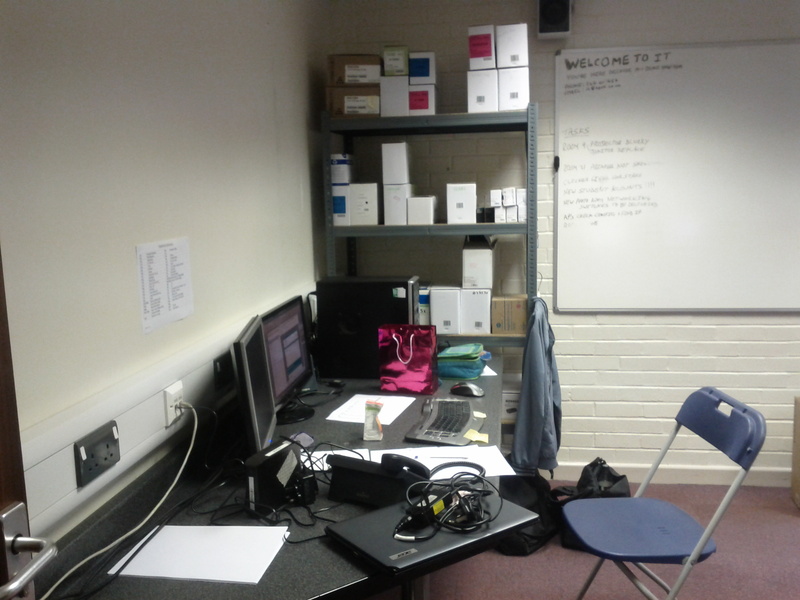 This is pretty much the tidiest you’ll see the office. Admittedly, there isn’t anything in it! Eventually, on the very last day of the Summer school holidays, our new office was finished. 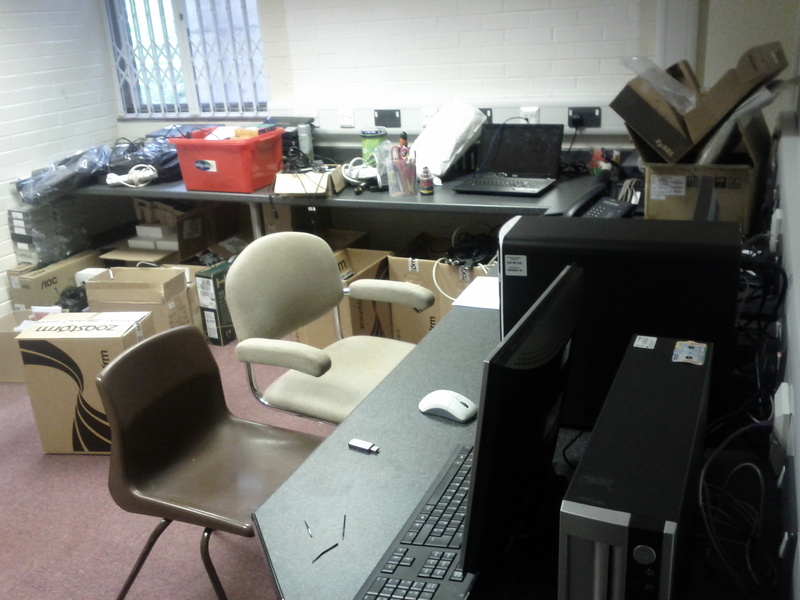 We then were able to move most of the items stored in the old room into the new one. 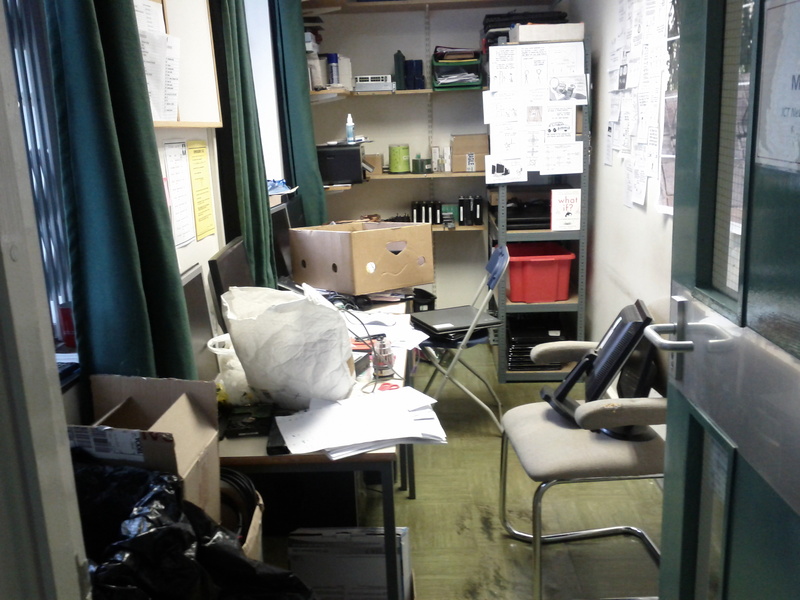 During the first day of school, we then continued to make the new office feel more “lived in”… or, to put it another way, we already started to make it look untidy. 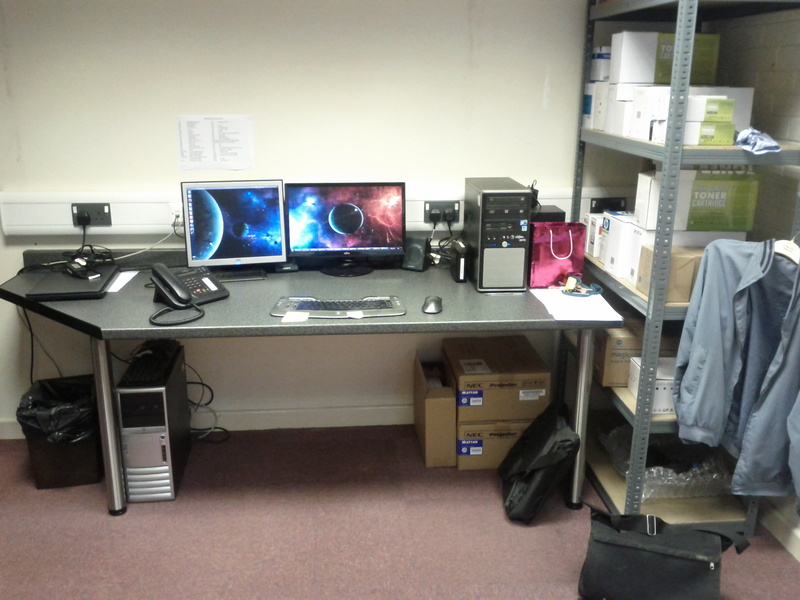 And after all of the rush at the end of the holidays, I now have a nice new desk and office to work from (as does my colleague). This is MY desk. Hands off, OK? After a full 2 days working in our office, it already looks like this. Oops. I can’t help but feel we may need a bigger office. Or at least for me to stop making so much mess! Posted in Work Life. Tagged Rooms, Workspace.